A constructively universal bow for the whole family. Traditional materials such as ash, maple and nut are inserted by laminated lamellas. A solid stretch, an extention of a lifetime of shoulders and tenacity of this bow are reached out for a combination of these materials. The bow centre is strengthened by a wooden handle.The ends of its shoulders are provided with shaped notches for anchorage of a bow-string or wooden anchors of the bow-string. 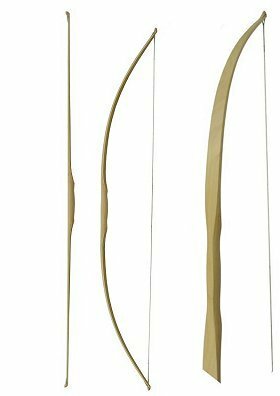 The bow-string is made of flax fibres with a firm wind against scratching. The bow is painted. According to your demand its paint can be replaced by flax oil or shellac polish. A horn tuck for an arrow and a handle covered by leather are delivered above standard offer. This bow is for recreaction and season shooting.